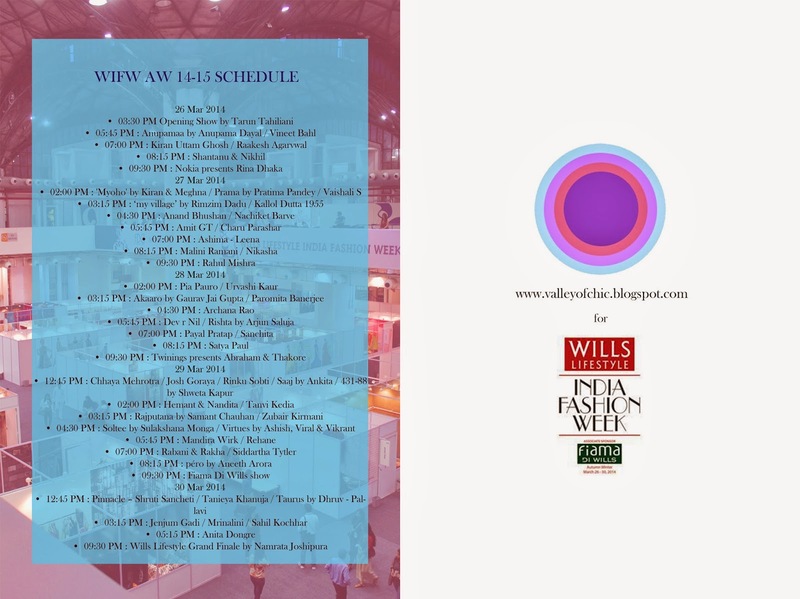 Fashion Design Council of India has recently announced the schedule for the 23rd edition of Wills Lifestyle India Fashion Week. The five day fashion week starts from March 26-30,2014 at Hall no,18, Pragati Maidan, New Delhi. There will be 119 designers showcasing their A/W 14-15 line through runway and exhibitions with 31 Runway shows during the 5-day fashion event. WLIFW is one and only fashion event in India which works with international standards and follows the fashion week calendar which includes New York, London, Milan and Paris Fashion Weeks and is one of a kind platform which provides an implausible amount of support to the upcoming designers as well as established designers. Fashion week is all set to get its grand opening by Ace of Drapery, Fashion Designer Tarun Tahiliani Autumn Winter line for this year. Tarun, who has put remarkably successful runway collections and last edition of AMFAR’s fashion show after an invitation from Carine Roitfeld, expressed his happiness by saying, “It is always wonderful to open a week with all the resultant expectation. Wills India Fashion Week held under the auspices of the FDCI is the premier trade platform for the ready-to-wear in India. It is here we will debut the new Autumn Winter Collection, a celebration of color, drape, jewels and a true synthesis of modernity overlaying tradition. To reflect what Amrita Sher-Gil said –“I am an individualist, evolving a new technique, which, though not necessarily Indian in the traditional sense of the word, will yet be fundamentally Indian in sprit”. Apart from this, there is a rumor that Mr. Sethi has plans of honoring Wendell Rodricks for his remarkable contribution to Indian Fashion Industry and celebrates his Padma Shri Award, on 27th of March, 2014. Valley Of Chic will be covering all the excitement of the fashion week on the blog and will be posting the updates on its Facebook and Twitter page.